For college groups starting at 10+ guests! Ready for the best college spring break trip ever? Leave it to TravelZap to make traveling effortless, we’ll coordinate your entire group so you and your fellow students can show up to the resort ready to party! Whether you’re a fraternity or sorority, extracurricular club or group of best friends, we’ve got you covered. We specialize in a wide array of destinations, that will fit any budget big or small. First, we’ll find out what you expect each guest to pay per night, and then we’ll find the perfect resort. Will it be Cancun, Jamaica, or even Costa Rica? We’re here to help! At every resort you’ll find it’s all included, from drinks and food, to pool parties, beach cookouts and so much more! Each college spring break group will have their very own travel agent, dedicated to making sure you get the best deals possible. The perks of working with your own agent include affordable payments and low deposits. 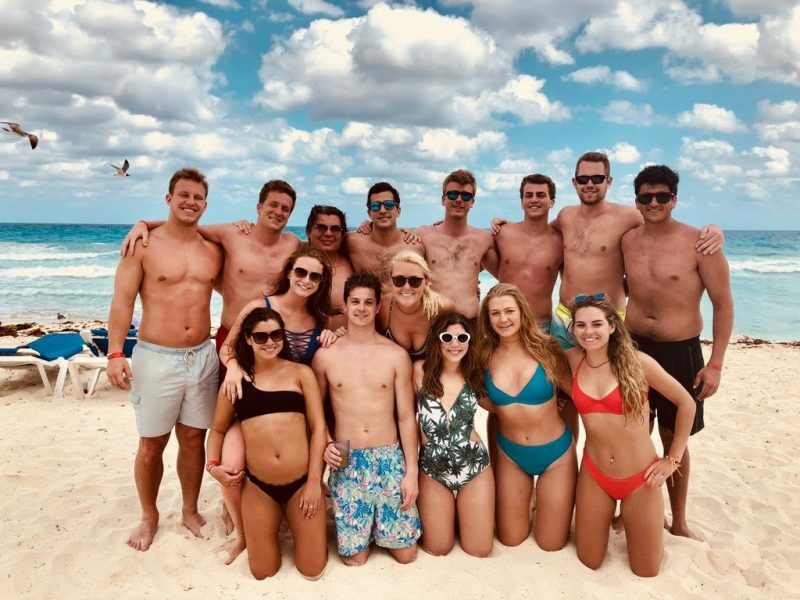 Plus, since our expertise lies in groups of 10 or more, we can even offer your group discounts and perks that will make your epic college spring break a success before your plane even leaves the ground. Since we work with college groups starting at 10 guests and up, we can get group discounts from many of the resorts we feature. Spring break discounts may be based on the size of the group traveling, so the more peers you can gather the better! With low deposits, guests can secure their room up front and lock in their rate. They can create a payment plan with their agent, setting up easily affordable payments to make any college trip a breeze. Each college group receives their own website, where you’ll find resort information, room categories, and even be able to pay your deposit and payments directly. Are you leading your college spring break group? Hotels offer amazing perks for group leaders. These perks can range from room upgrades and resort credits, all the way up to an entirely free trip!